If you can’t get to China to see the astonishing terracotta warriors in their pits, seeing this whimsical tribute to them might be almost as good. 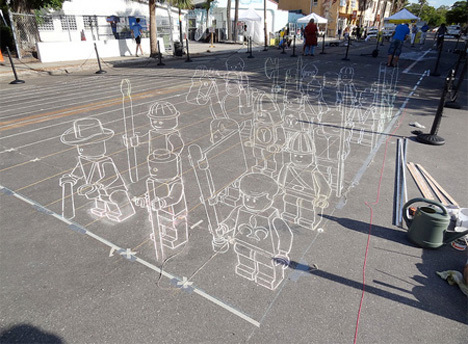 It was part of a street art festival in Sarasota, Florida and depicted the warriors as an army of LEGO characters. 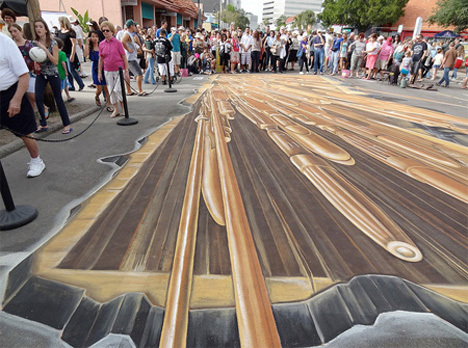 The 2011 Sarasota Chalk Festival featured this amazing chalk recreation of the iconic terracotta army of Qin Shi Huang, China’s first emperor. 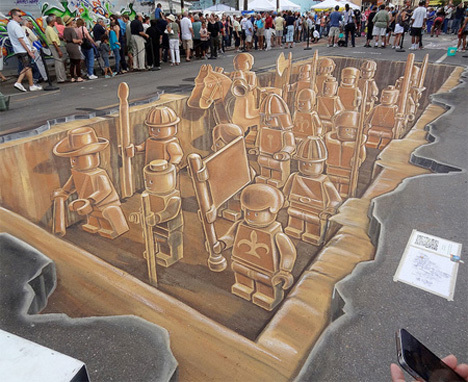 With the soldiers recast as LEGO figures, the huge 3D piece was an incredible show of the artists’ talents. 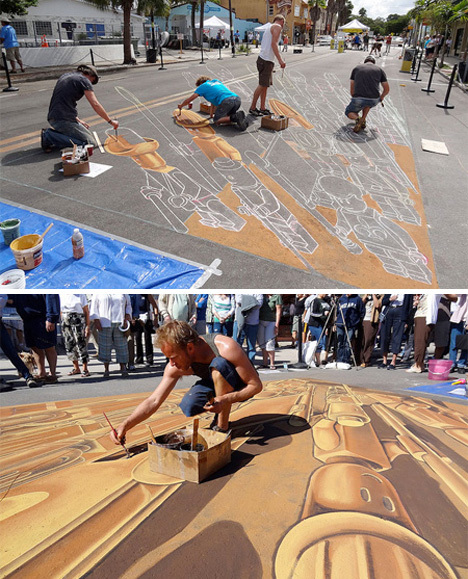 Created by Planet Streetart (which consists of artists Leon Keer, Ruben Poncia, Remko van Schaik and Peter Westerink), the large piece of pavement art is stunningly realistic – but you have to stand in just the right place to see it. There are knights, construction workers, cowboys and a number of other LEGO men standing proudly just as the real terracotta soldiers do, half a world away. The swapping of the actual soldiers for LEGO figures is meant to make the art piece more accessible, recognizable and fun to a younger generation of viewers – and we’d say the piece is extremely successful in that venture.